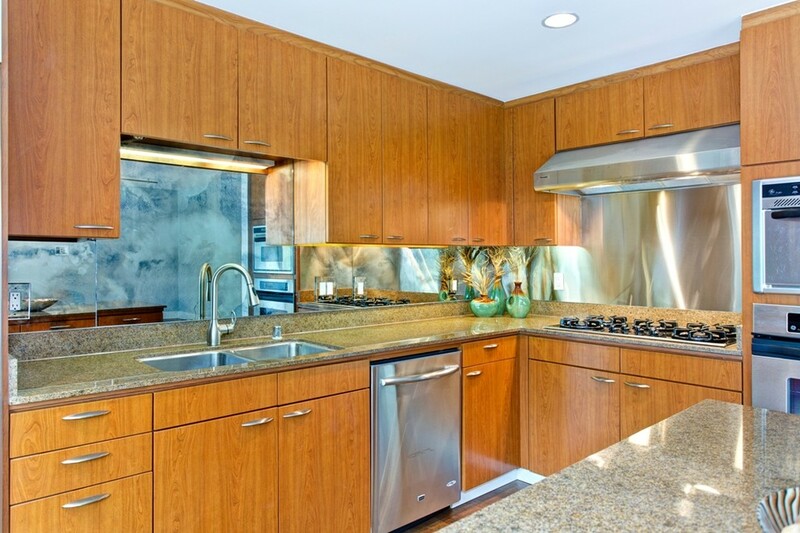 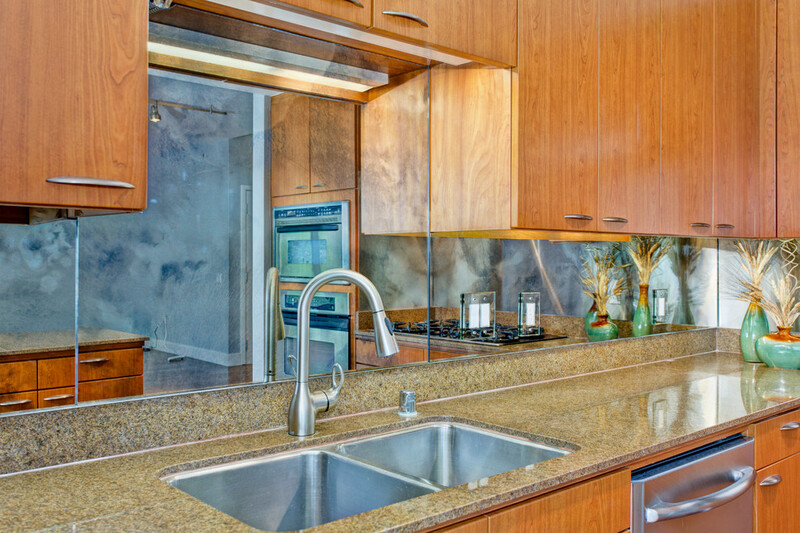 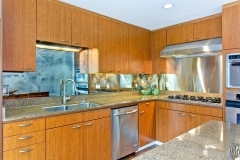 A downtown San Diego, California contemporary Kitchen with a twist–the customer requested a beautiful antique mirror to be installed as the back splash. 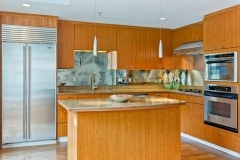 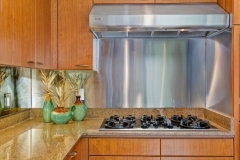 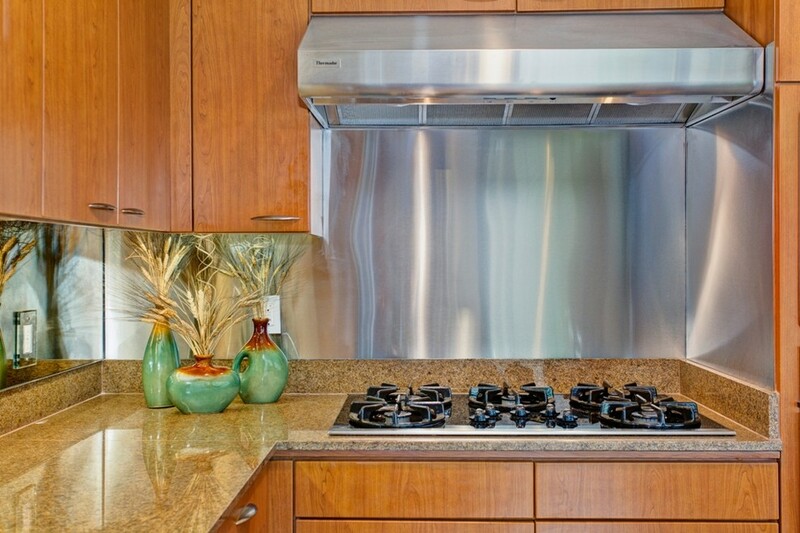 The stainless steel panel behind the stove matches the mirror but serves as a functional part of the kitchen. 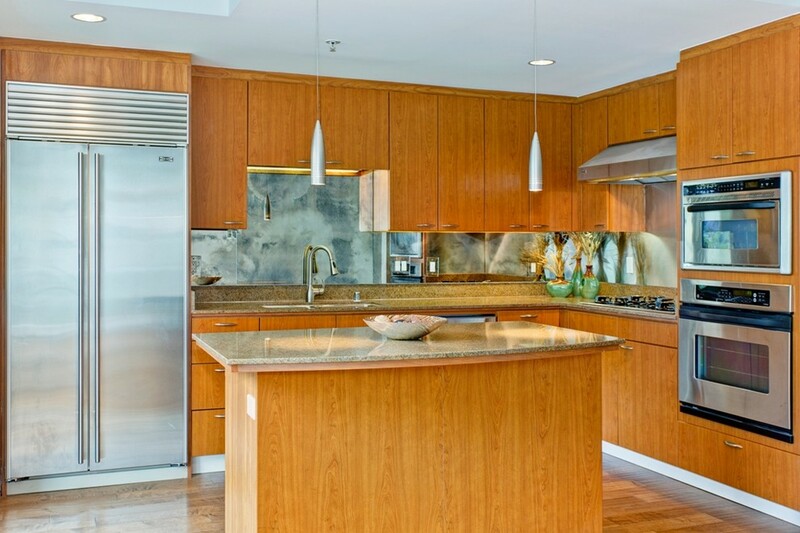 Recessed lighting is matched with pendant lighting to create a cool ambiance.